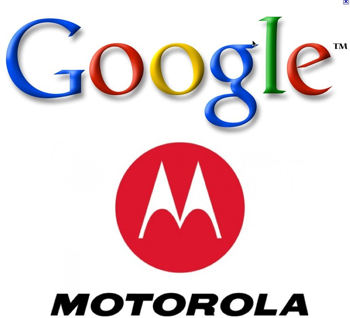 Google Inc. (GOOG) decided to takeover Motorola Mobility Holdings Inc. (MMI) for about $12.5 billion in cash, allowing the creator of the fast-growing Android mobile operating system to build its own smartphones and tablets and providing patents to defend against a rash of lawsuits. The move gives Google a hardware platform, but more importantly patent protection for key aspects of the Android operating system. Android is only part of the transaction. Motorola Mobility also has a set-top box division, one that has been competing with Cisco’s (CSCO) Scientific Atlanta, among others. Set-top boxes are destined to join DVD’s in the dustbin of history, but the patents Google is acquiring may give them a fighting chance in the long-envisioned marriage between the televisions and the Internet. if Motorola were to decide not to go through with the deal, it would have to pay Google a $375 million break-up fee which represents 3 percent of the deal valuation of $12.5 billion. Google said it would pay $40 per share in cash, a 63 percent premium to Motorola Mobility’s Friday closing price on the New York Stock Exchange. Fundamentally, Motorola has never been an interesting stock. Only consolation is its low P/BV even if its stock price has currently surged more than 50% after the announcement. 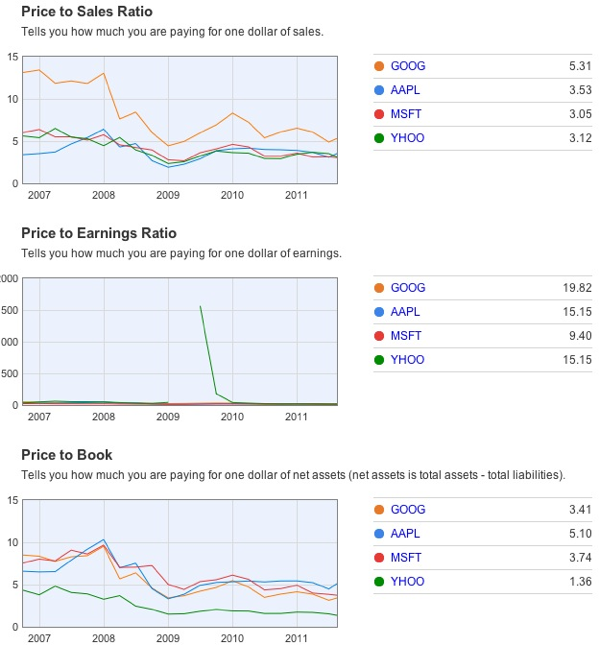 For Google (GOOG), its PE ratios are non-demanding, but not the cheapest too. Balance sheet is strong and Google may not even activate any debt. 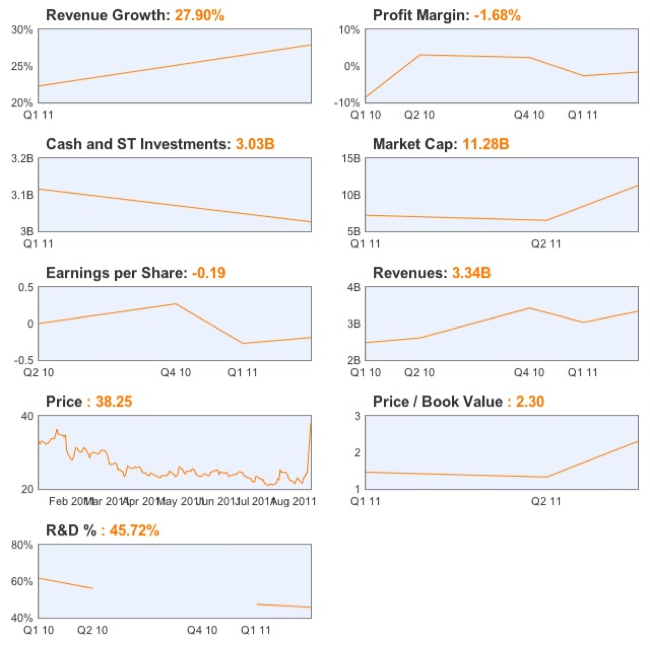 Now the other question is – Will Microsoft (MSFT) takeover Nokia Oyj or RIMM?